Rising UFC knockout artist Francis Ngannou is currently gearing up for the biggest fight of his career. Still, the heavyweight contender finds time to spend with his fans. In a new video making its way around the internet, Ngannou can be seen challenging a female fan to choke him out as he tries to eat fruit. 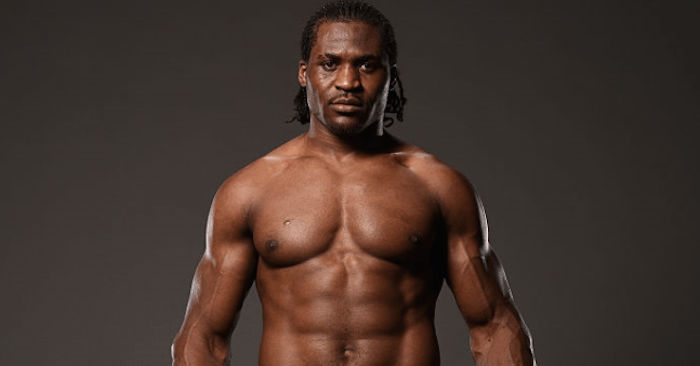 Francis Ngannou is currently preparing to fight for the Ultimate Fighting Championship’s heavyweight title. 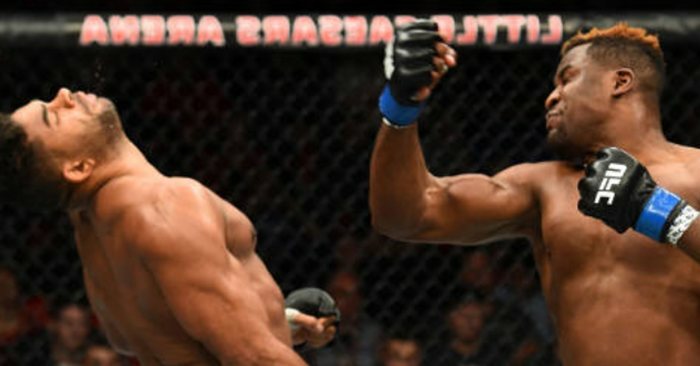 After knocking out former top contender and former K-1 champion Alistair Overeem, Ngannou cemented his place as the next title contender. Now Ngannou is set to take on UFC heavyweight champion Stipe Miocic at UFC 220. The event is just around the corner, as it takes place Saturday night, Jan. 20, inside the TD Garden in Boston, Massachusetts. While Ngannou is already in fight week for his highly anticipated title fight, the fighter decided to spend some time with a female fan while at the UFC Performance Institute. In the video provided, the woman can be seen trying to choke out Ngannou whill all of her might. However, Ngannou simply goes about his business eating fruit. Check it out in the video above.